Aweber Email Autoresponder Review | Let's Biz Up! 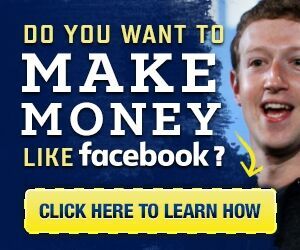 By just one mouse click you can send hundreds or even thousands of emails all at once or when somebody subscribes to your newsletter you can send that person an email on auto pilot, you don’t even need to sit behind your computer for that! But the Aweber is not the only email autoresponder, other email autoresponders are GetResponse or GVO and they all provide virtually the same functionality but for a different price. They offer sequencing and scheduling that comes through very easy to launch a marketing campaign via email with the use of different forms, audio and video for specific days or to send them out after a number of days, weeks or even months beforehand. AWeber basically has the same futures as GetResponse or GVO like a variety of templates to allow people with little knowledge of CSS or HTML to still create professional look forms. Creating an opt-in form with AWeber is uncomplicated, for there is a built-in form wizard that assists you to create and custom-make your forms using the point – click interface. I think customization with AWeber is a bit more easier than GetResponse and GVO, on the other hand it’s a lot more easygoing to import lists into GetResponse than it is with AWeber. And GVO is then again to cheapest autoresponder. Actually, there are quite a lot of reviews around AWeber, some good and some negative ones, but non of them complains about non-delivery of mails or the service in general. To the highest degree of negative reviews talks about the fact that the program might be a bit more difficult to understand or the pricing is more expensive than others. Also sadly no trial period is provided, but you’ll be able to try out the service for $1 which is a sensible amount to pay for a good service. But bear in mind that it would be a better decision to stick to one responder rather than skipping from one to another. Only when you are realy familiar with the concept you could try a second autoresponder. Importing mailing lists can be a daunting task for unexperienced marketers, and I would highly recommend selecting one and sticking with it. Take some time to learn your responder and how it works. Numerous sites and individuals will tell you how easy it is to make money with an email list, but growing a subscriber base is not that easy and you’ll find that several people tend to leave your list if your marketing campaign isn’t set to attract and sustain customers. Making money with a list requires a learning curve that takes some time to perfect. Choosing the right auto-responder plays a crucial role in your online business. Alot of people have the tendency to except mail only from certain responders that they trust, and I tend to unsubscribed to lists that lands up in my spam box with an unknown responder behind the address. A responder with a proficient reputation gives your online business a more professional look! Email Templates: Over 150 easy to use templates with custom editing including color schemes, logos, or even simple plan text. All templates have 1 and 2 column design structure and can easily match your signup from. Signup Forms: Create your own custom signup forms or choose from a ton of included forms. Each sign up form can have over 25 fields including name, email, dates, check boxes, and more. Signup forms can have a variety of special effects including hovering and 3D. Managing Subscribers: Import contacts from your website and several third-party sites including PayPal and Yahoo. You can even transfer your subscriber list from other email marketing service with their free migration assistance. Autoresponder: Automatically deliver follow-up emails to engage your subscribers. There are over 150 autoresponder templates available to choose from. You can even set your own delivery hours for the autoresponders. RSS to Email: Integrate with your blog and send your posts as emails. You can send individual posts or weekly summaries. Tracking and Reporting: You have the ability to track your campaigns performance based on who opened your email, which links were clicked on, and how many clients unsubscribed from your list. Email Marketing API: Integrate third-party applications with AWeber for easier sign up form installation. Segmenting: Segment your subscribers into groups based similar activity such as clicking the same link or purchasing the same product. Segmenting is useful for targeting the right email to the right people to achieve the most success. Message Delivery: Automatically checks your emails for spam content and removes inactive/incorrect email addresses. Each email is analyzed and given a content score to avoid the blocking of your messages. Knowledge Base: Instructions and guides can be found here along with instant answers to common questions. Customer Support: Customer support is available Monday through Saturday via email, chat, and phone. AWeber has 5 regular monthly plans along with a custom plan (requires you to contact them). For a limited time, you can get your first month for only $1. Conclusion – Is AWeber Good Enough for My or Your Business? When it comes to AWeber email marketing, it is a good choice for any type of business. It is not the best in everything but you can achieve a lot with Aweber. And there are alternatives such as GetResponse or GVO. If your subscriber list is not too big, AWeber will be one of your best choices. Do you have experience with AWeber? Let us know by replying below! I hope you appreciated this Aweber Email Autoresponder Review.